Spending a few days in the Amazon rainforest is a must if you’re travelling to South America. Many travellers choose Brazil or Peru, but I opted for Ecuador, and I have no regrets! We decided to spend 4 days in at an Ecuador rainforest lodge, the Jamu Lodge. During the four days, we saw a huge range of animals, including the Amazon river dolphin, tiger cats, an anaconda, some toucans, monkeys and birds of all kinds. From Quito, you can either take a 50-minute internal flight in the morning or an overnight bus to Lago Agrio which takes a 6-7 hours. On arrival in Lago Agrio mid-morning, a minibus will pick you up and take you to the Cuyabeno river (a 2-hour drive). Once you get to the river, lunch is provided before you board a Jamu Lodge motorised canoe with your guide and it'll take about 2 hours to reach the lodge. It could take a little longer as you’ll stop regularly to watch the many animals and birds hiding in the trees. Jamu Lodge is built on stilts along the river and it's set deep in the Amazon. Although it's a little more basic than other lodges we recvommend, it is ideal for a fully immersive experience. You’ll feel lost in the thick jungle surrounded with so many animal sounds! The rooms are comfortable and clean, and the meals are delicious. There’s also a bar and a chill-out space with hammocks. You can choose how long you want to stay, but I recommend at least three nights to have enough time to fully immerse yourself in the jungle. This lodge is also ideal for families, two families were staying there when we went, and the kids loved it. On our first night, we went to Laguna Grande - a large lake about 15 minutes from the lodge. Just on our way to the lake we saw three sloths! You can swim in the lake while admiring the sunset. Just try not to think about what may be hiding beneath you in the dark waters! The next day, we visited a nearby village to experience life in the jungle and find out more about their way of cooking Amazon pancakes. It's a real eye-opener! You will also meet a shaman; a ‘jungle doctor’ who will explain how he uses the Ayahuasca hallucinogenic potion to put his patients in a trance and heal them. The shaman also uses a lot of plants and insects from the jungle as natural remedies for all sorts of ailments. On day 3, you’ll get to spend a lot of your day in a canoe. We found it was better to explore without the sound of the engine, as we could really hear the noises coming from the jungle. We were also lucky to spot two Amazon river dolphins! You'll also take a walk through the forest looking for those insects and plants that are used as natural remedies. During your stay, you'll also be able to do two nocturnal expeditions. One is a walk, in complete darkness, with the sole light of your torch to watch where you set foot and to look for animals. You will get to see huge insects, tarantulas and many other spiders - if you're up for it. The other expedition is a trip by boat to see boas and caimans. The caimans’ eyes shine when you point your light at them, and it’s quite impressive spotting so many pairs of eyes in the darkness. Fortunately, you can spot most of these animals all year long, so there isn’t one specific season to aim for. The dry season from August to December is perhaps slightly better for snakes and caimans, but you can still see them during the rainy season too. The guides are amazing. They speak Spanish and English fluently and can see animals that blend completely into the landscape. Most of them grew up in villages nearby, so they know the jungle like the back of their hand and have many stories to tell. The great thing about this place is that there are very few mosquitoes - if any. This is because the river water in this part of the jungle is too acidic for mosquitoes to reproduce which is very welcome. As you can imagine, it is very hot and humid in the jungle. I recommend that you avoid cotton t-shirts as they won’t dry easily. Opt for breathable and loose tops. Avoid gym leggings and bring lightweight hiking trousers instead. 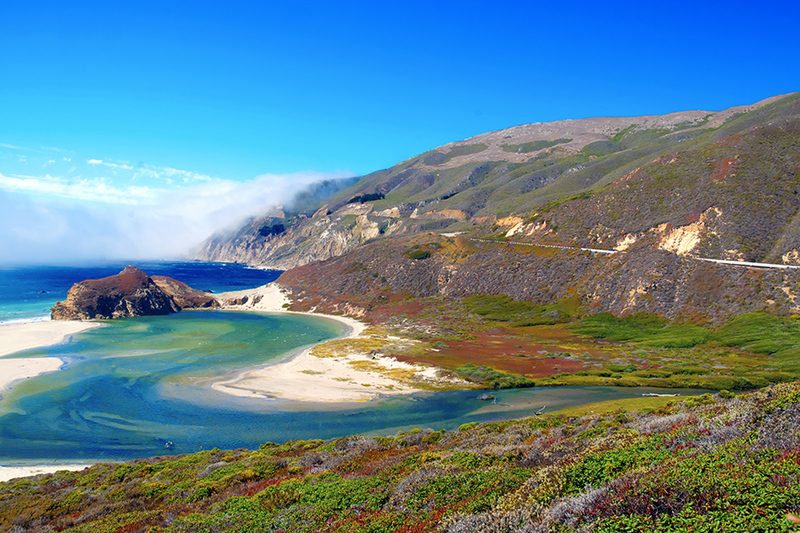 Don’t forget to bring sunscreen, a water bottle or flask, a cap, some mosquito repellent, a swimsuit and your camera. The lodge provides wellies and quality ponchos for the rain, as well as binoculars to make sure you don’t miss anything. There is a lot to do in Ecuador and around Quito, such as the craft market of Otavalo, Baños, trekking in Quilotoa and Cotopaxi etc. 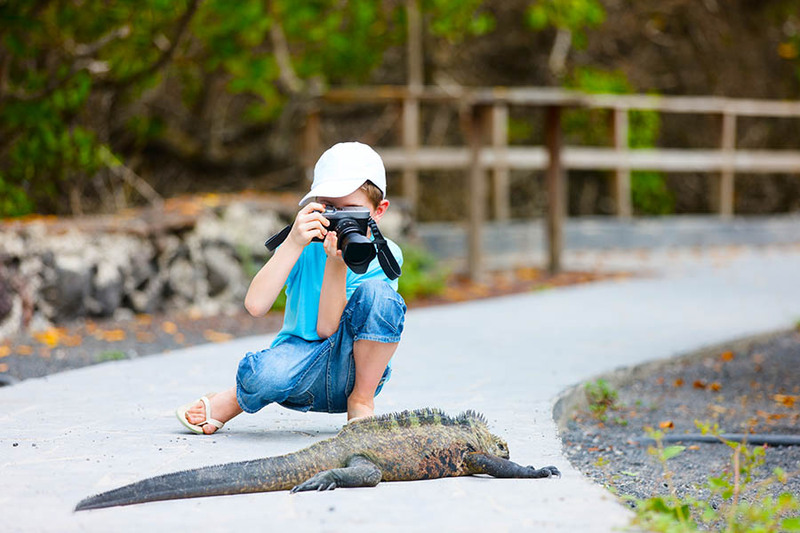 Why not combine this tour with a stay in the Galapagos for example? Interested in staying in an Ecuador rainforest lodge? 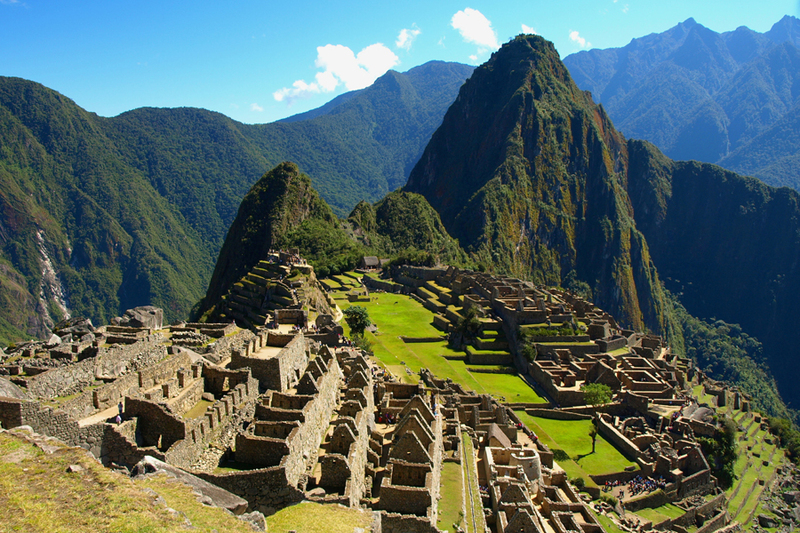 Whether you want to visit Ecuador on holiday or as part of a wider round the world trip, contact us. 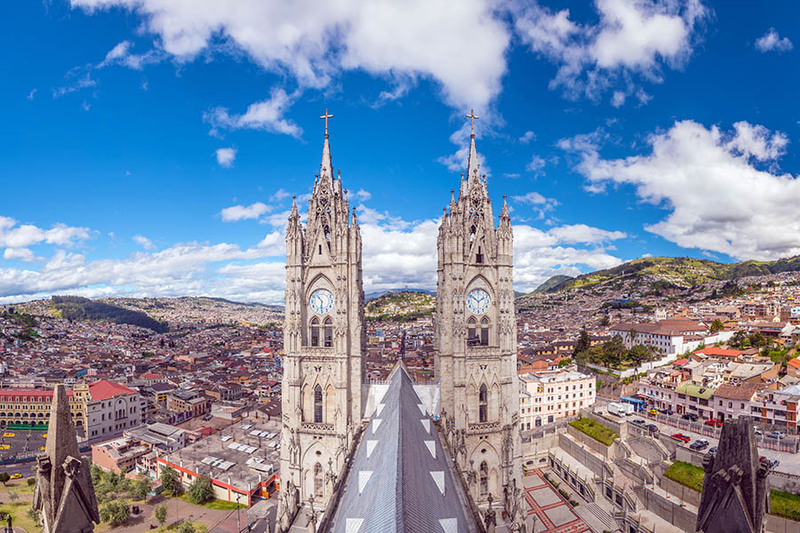 Check out our multi-stop flights to Ecuador page to give you an idea of the prices and give us a call. We can advise you on the best jungle lodges and book your stay in the heart of the Amazon rainforest. Call Travel Nation on +44 1273320580 or request a quote by email.